Awhile back, we compiled a list of model cars that looked strange in certain colors. A few, like the DeLorean DMC, only existed in one color in the real world. Some, like the Red Baron, had obvious color choices in their names. Here are a few more diecast cars that might make you want to adjust your eyeballs. The real ones came in other colors besides black, right? You’re certain you’ve seen them in white and maybe silver? You’re thinking of the Regal T-Type, a slightly less potent but still turbocharged Regal variant. Those could be had in a few other colors. But not the Grand National and certainly not the GNX, the most amped-up version of that car. Diecast companies have played fast and loose with other tones for years anyway. This sleek concept car was designed by Rust Heinz of the famous ketchup family. Instead of tomato red, the Phantom Corsair was midnight black, and since there was only one produced, it looks odd in any other color. Especially with colorful graphics. In real life, this CanAm legend could be seen in a few different liveries, but when you hear the name “McLaren” in racing, your mind likely sees a bright, yet pale hue of orange. One of the early Just-Outside-the-Original-16-Redline cars, Hot Wheels offered this model in every SpectraFlame color. And eventually, they did an enamel orange variant that looks pretty close to what you expect. The original Mako Shark concepts cars were designed to show what upcoming C2 and C3 Corvette models would look like if they wore shark costumes. Not really, but there was a definite tiburon theme going on, with exhausts in the places where gills and fins might go, sharp, pointed grill/mouths, and silver/blue paint schemes evoking the colors of a Mako Shark. Playart offered the earlier version in a bunch of non-shark colors. Topper was among several companies that made models of the second Shark concept, in every color except “shark.” Aurora also offered the second car as an early ThunderJet slot car molded in all their standard tones. Speaking of Corvette concepts, the 1957 Stingray race car, which previewed the C2 styling, and the 2009 Stingray (C7) both only existed in silver. None of that has stopped diecast companies from producing both of them in other, more garish hues. Meanwhile, the 1992 Stingray III concept was a very 1990s purple, but has been produced in several less garish but nonetheless strange colors. “I wish I drove an Oscar Mayer wiener…” There have been numerous generations of the giant tube steak on wheels over the years, but what they all have in common is their general shape and their colors: yellow bun fenders with a, well, meat-colored sausage body. Several companies have made models of the Wienermobile over the years, but only Hot Wheels has dared to get creative with the coloring, including chrome and NASCAR themed versions. This one might be a stretch… in 1992, Hot Wheels introduced a casting called “Goodyear Blimp” with revolving signage. It was appropriately colored silverish-gray with the expected logos. The casting has been released in other color schemes, although they solved this by changing the name to just “Blimp.” Also, it’s not a car. When George Barris was given three weeks to create a car for the Batman TV series, one of the things he didn’t have to think about was the color. It had to be black with some red pinstripes, no further consideration needed. But Hot Wheels has taken the paint gun to several generations of Batmobiles, such as the dark blue Burton era Treasure Hunt car. The TV car has been done in holiday colors, chrome, and all kinds of hues. Of course, sometimes a diecast car seems to be an unexpected color, but nope, it actually does have some basis in reality. We’ll look at some of those in an upcoming article. Can you think of any other diecast cars that look odd in certain colors? Let us know in the comments! Painting existing die cast cars in alternative colors is a good way to stretch tooling dollars…one of the main reasons that it is done. While working for the Danbury Mint, we would sometimes order a few cars in different colors to see how they looked. This isn’t the same idea as your thread here, but collectors of DM cars will notice right away that the two cars shown here look different. Neither one was ever produced in these color combinations. The ’58 Pontiac was issued in Mallard Turquoise and Marlin Turquoise, but with the color locations reversed from what you see here. 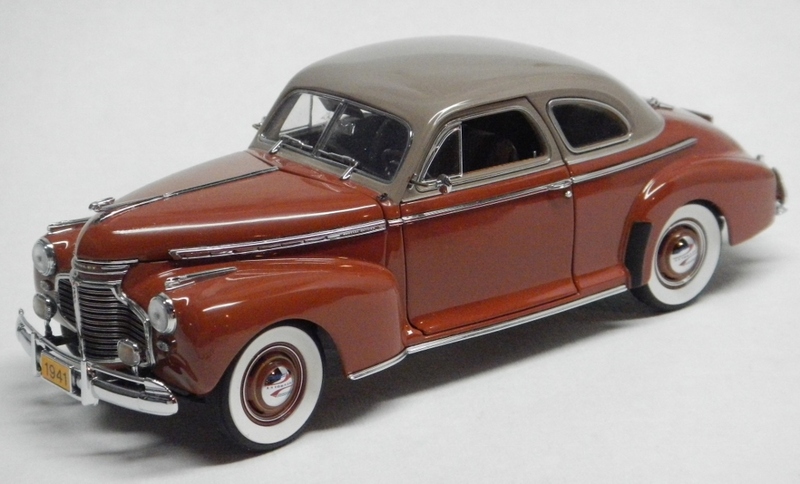 The ’41 Chevrolet Coupe was released in gray over dark blue. This one is Sandtone Metallic over Indian Suntan.